For a couple years, there was what I affectionately nicknamed, “The Posse” that assembled whenever there was trouble in my neighborhood. The Posse consisted of about half-a-dozen elementary-aged boys on bicycles. One evening arriving home before sunset, the small band of do-gooders had gathered in my front yard standing upright on their bikes looking forlornly at the cornfield across the busy road. The majority of boys weren’t allowed to cross the road due to their parent’s rules, but it was obvious that something was terribly wrong. I pulled into my garage, wanting to head straight for my living room couch and a little TV, but I could tell they needed some adult help. Remembering once having had a little boy of my own who is now all grown up, I dutifully approached the group to inquire what was happening. Animatedly talking over each other, the youngsters frantically shared that a neighborhood dog had gone missing in the nearby field. The corn was high like it is right now. The oldest boy and I, the one who owned the brown and white frisky pooch, headed across the road while the others anxiously watched. Miraculously, the curious canine came running when he heard his 10-year-old master’s voice calling his name. On another occasion, while I was in the yard pulling weeds, a middle-aged female who was new to the neighborhood and to Ohio approached me sobbing about her missing cats. I calmly explained that we would have to call out The Posse. That particular time, even some parents got involved in the hunt. One cat was eventually recovered, but sadly the other was never found. The members of this boyhood group are older now, and seem to have disbanded. It’s been a real loss, because their camaraderie infused a bond among normally isolated neighbors. Let’s face it, unless we’ve known someone for a long time, most folks keep to themselves in whatever neighborhood we live. Many people are so busy. Besides, the world has grown increasingly frightening these last couple of years, and neighboring can seem like a thing of the past. 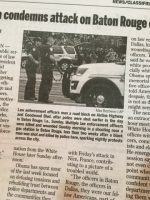 With terrorist attacks in unexpected places, ongoing school shootings, political unrest, heroin addiction running rampant, racially motivated killings, and then on July 7, 2016, our country witnessed one of the greatest tragedies of this decade. Five Dallas law enforcement officers were murdered, and seven others were injured in a brutal massacre. The following morning, I couldn’t imagine how anything would cause our country to have a bright future, and I’m sure I wasn’t alone in that thought. Although it was a beautiful sunny day, I wanted to lock the doors and give up on humanity. 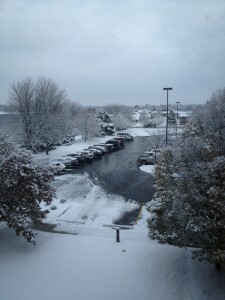 But late that morning, I glanced out of my kitchen window, and couldn’t believe what I saw. On the edge of my yard, four or five small children and a little red wagon, a few elementary school girls and one boy sitting in miniature chairs who had set up a makeshift lemonade stand. Children I had never seen on my corner before, with a young mother watching on the sidewalk nearby. Despite my formally despondent mood, I felt hope for the future bubble up inside as I observed the kids excitedly interacting with each other. I did what any self-respecting neighbor lady should do. I told my husband who was home on vacation, we had to go outside and buy some lemonade. 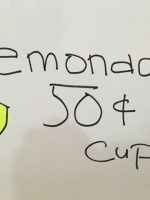 Even though my spouse has been dieting, I asked him to give the little ones $1.00 for the fifty-cent lemonade. Confused that I was encouraging him to drink sugar and pay double the amount, my poor hubby was surprised a second time when I told him it was best if we throw the sugary drink away once we were back inside. I explained that being a former business owner myself, I had simply wanted to encourage the young professionals that hard work pays off. 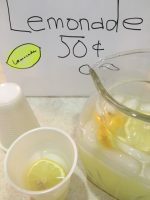 Even when another fatal incident happened in Baton Rouge recently with law enforcement officers being targeted again, I remembered the lemonade stand. In the midst of turmoil it remains a sign of hope that there is still a wonderful future waiting for our nation’s children, because they are the future. I saw it in their twinkling eyes as we handed over our money to pay for our fifty-cent lemonade. Dollar bills that still say, “In God we trust.” The lemonade stand was a visual reminder that in the darkest of life’s storms, we can trust that there is a plan for our tomorrows. P-A-I-N! I definitely did not want this bleak word to start the new year. Here in Ohio, January is bitter cold and the days are gray enough. I tried desperately to push the word out of my mind, assured that I was not hearing our heavenly Father’s still small voice clearly. My search for my one word for 2015 began in December 2014. I prayed that God would reveal what I needed to contemplate in order to grow spiritually and become more like Him. At first, it was difficult to accept that a good God would want me to concentrate on the word, “Pain.” I wanted nothing to do with dissecting its definition for twelve months. I had to wonder if this was a misguided, self-inflicted masochistic leading like cutting my arm as a teen had been. Or if the all-wise Holy Spirit could possibly desire for me to further investigate this topic. You see, I know a lot about the pain of mental torment. When I committed my life to Christ in my early 30s, I was a patient on a psychiatric ward battling depression and addiction. I was desperate for anything that would relieve the anguish. Then in my more than two decades of recovery, I have tried to empower others in their journey of finding wholeness from past brokenness, addiction, or abuse. In my book, Seeds of Hope for Survivors, I share some of the painful circumstances which I have overcome through God’s grace to enjoy the fulfilling existence that I have today. Speaking and writing about the pathway of spiritual & emotional healing, I have found the true meaning of being a “New Creation” in Christ. By profession, I am a journalist, a lover of words, but this particular word has always had a terrible emotional connotation. Pain is a four-letter word that conjures up agony and suffering, and is something I’ve spent my life running from, or trying to overcome. That’s why, I prayed earnestly for confirmation concerning this 2015 word of the year suspecting the enemy of my soul was sending “Pain” to haunt me one more time. I tried to convince myself that our benevolent Father wanted me to have a positive expression like “Believe.” After all, my 2014 word was “Hope.” This past year, I have enjoyed researching Scriptures and even purchasing keepsakes that point to the hope we have in our Savior. Even after this serendipitous event of divine intervention, I still wanted to push “pain” away. To explain, I have spent almost a year and a half battling debilitating physical pain caused by injury and arthritis. Pain that exhausted me, that took every bit of creative energy away, and that made me feel like an old woman before my time. I had always promised myself that I would never turn into one of those boring individuals who talk only of their physical ailments. Then suddenly, I found myself offering daily reports about the unrelenting pain in my feet, hands, and knees, while discussing doctor visits and surgery. 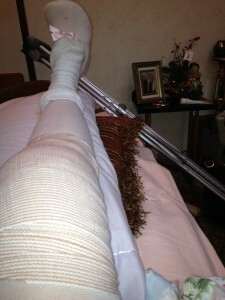 Formerly an athletic individual, I was relegated to life on crutches and the couch. I was the one used to ministering to others, and now I was humbled to require assistance for daily tasks. I prayed and cried and begged the God who I had always known as Healer to restore me to the vibrant woman I had once been. All to no avail, as the physical pain continued, and fear of more pain increased my anxiety. The resulting emotional turmoil grew so intense that deep depression became a battle like it had been in my youth. I had never experienced anything like this. My heart was broken by my diminished existence, and also for all the other folks living daily with chronic pain. The kind of unceasing torment, that can ultimately cause you to question God’s love for you. Pentecostal by background, I did not theologically know how to explain pain. Didn’t I have enough faith? Was there sin somewhere in my heart? I knew all these faulty questions were not the problem, thankfully my non-charismatic brothers and sisters would never even ask them, yet I had watched others who were struggling being judged over my years in ministry. Even when I was well, I never wanted to judge someone suffering, knowing there is so much we will never understand with our finite mind. As I wrestled with physical pain, my personality changed too. Like a butterfly who is forming in a cocoon gradually I began to transform into a more gentle human being. Something, my passionate nature and high energy have always prevented. Of course, I did not know this. The pain made me think that I was simply weak and had failed, since I was unable to recognize the person I had become. It was my precious husband who at first was sorely confused by this metamorphosis, but eventually delighted that I was no longer the driven individual he had married. Finally and miraculously, I am beginning to feel better physically – more like myself, something I will admit I had almost given up hope of happening. There are a couple permanent limitations like everyone grappling with getting older, but amazingly some good days. Sadly though, so many wonderful people around me continue to suffer. With my health being renewed, the last thing I want to do is to think about pain, but there is no escaping it. “Pain” is my one word for 2015 – the word God wants me to “embrace” as Debbie Macomber suggests, because He obviously has more for me to understand about it. Perhaps, as I reflect upon its meaning, I will learn not to fear it, trusting that God` has always been with me in the midst of it. Then in some small way, maybe I will be better able to assist others struggling with spiritual, emotional, or chronic physical pain for which there seems to be no remedy. In the end, our Heavenly Father will eradicate all of our pain. Revelation 21:4 NIV says, “He will wipe every tear from their eyes. There will be no more death’ or mourning or crying or pain, for the old order of things has passed away.” Until that day, it’s up to us to be wounded healers to those we encounter who are desperate for our Savior’s mercy. So, “Pain,” here I come. In 2015, for the first time in my life, I’m facing you head on. As the calendar turned to January 1, I felt the gentle nudge of God’s Spirit encouraging me to choose, ‘Hope,’ as my word for 2014. It was no coincidence, that while ringing in the new year, hope was something I desperately needed myself, since I was battling depression resulting from a health crisis. Circumstances, which I initially had no intention of sharing with others. 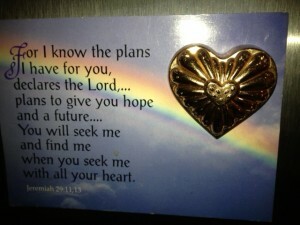 However, our Heavenly Father’s plans for us are often very different from our own. It was this Godwink of a postcard with a rainbow and the verse, “For I know the plans I have for you,” declares the Lord, “plans to prosper you and not to harm you, plans to give you hope and a future,” (Jeremiah 29:11 NIV), that began to restore my own expectancy in God’s good plan. Since then, it seems like I see the word, ‘hope’ everywhere. It almost jumps off the page, sometimes, when I’m reading the Bible. At other moments, I hear the promise of hope coming through song lyrics. An example would be for King & Country’s tune, “Crave.” One line of the song says, “Hope is what we crave, that will never change.” What has changed for me, has been the renewed vision in our Creator’s desire to do good on our behalf, along with His ability to bless our lives and to use us despite physical limitations, aging, or our own inadequacies. This was a catalyst for the depression I was experiencing, falsely believing that I was no longer of any value to God’s dynamic kingdom. 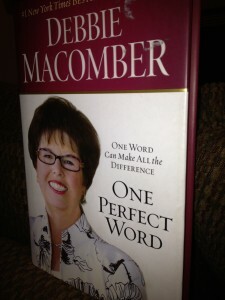 There was another gentle nudge of the Spirit, which resulted in me finding the book, One Perfect Word by Debbie Macomber in a thrift store recently. Out of the thousands of books there, it just stood out as something I needed to purchase. When I got home and began to read it, I found out that Mrs. Macomber had chosen ‘hope’ for her word of the year in 2006. It was such a joy to glean wisdom from this talented writer’s insights, not only about hope, but also about the importance of selecting a word for each new year. Something she has been doing for a very long time. 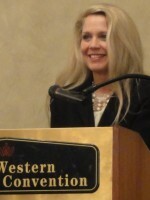 Christina Ryan Claypool is the 2011 First place national Amy award winning freelance journalist and a Christian speaker. She has been featured on Joyce Meyer’s Enjoying Everyday Life TV show, and on CBN’s 700 Club. Her website is www.christinaryanclaypool.com. Circles of Faith, Founder and Executive Editor, Elise Daly Parker, posted “My One Word for the New Year Update and LinkUp”. Go to their website at www.CirclesOfFaith.org to read Elise’s blog post and to hear an update from other women about their inspiring One Word journeys including: Kimberly Amici, http://kimberlyamici.com/ who is the Circles of Faith Co-Founder and Managing Editor, Holly Barrett whose Website is http://hollybarrett.org/, and Laura Roth who blogs at: http://www.laurarath.blogspot.com/ This Circles of Faith post encouraged me to write my own update. The holidays are upon us and some folks don’t feel so merry. This is especially true for those who have lost a loved one recently. Grieving can make the glitter of the Christmas season grow particularly dim. Admittedly, grief comes in stages. One milestone for me occurred late in the fall of 2011, when the remaining leaves on the trees were ablaze with breathtaking color. However, that Sunday afternoon the skies were dark and heavy with rain. The weather matched my downcast mood. When a rented moving truck pulled into my driveway, my heart sank. I inhaled deeply then waved to my stepsister, Cindy, and her husband, Mark. To me, it felt as if the Indianapolis couple were transporting the body of a loved one, instead of our parents’ old furniture. Losing my mother, Glenna Sprang, suddenly in 2010 was devastating. There had been no warning or preparation. She was a Philadelphia organist who played two church services on the morning of October 10th. That same afternoon, pain from a kidney stone gone terribly wrong sent her to a Pennsylvania hospital where she died three days later. Mom was 78. Even though she had been in excellent health, I should have realized she wouldn’t live forever. Five months later on March 5, 2011, Neal Sprang, my 80-year-old stepfather of 35 years died. Theirs had been an age-old love story. Two hearts so intrinsically intertwined, that one couldn’t keep beating for long without the other. My stepsister and her husband had made the difficult trip to our parents’ home in Philadelphia to retrieve the furniture that we had inherited. For me, there was my grandfather’s writing desk, a birds-eye maple vanity, and a mahogany table with six chairs. Long ago, Mom and “Dad” had purchased the dining room set from a church rummage sale. 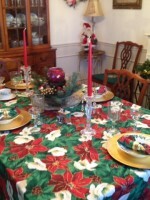 That old table has seen many wonderful memories of Christmases past. Every holiday, formal china and the good silverware would be set on the linen tablecloth, which would be laden with my mother’s steaming homemade dishes. The iridescent flames of the candles decorating the centerpiece would reflect in the crystal chandelier. For hours, my siblings and I would gather around the table sharing stories and laughing solicitously at my stepfather’s corny jokes. For awhile, there was an eerie silence that greeted me each time I gazed at that Duncan Phyfe table that ended up in my dining room in central Ohio. Its presence reminded me of the permanence of my parents’ passing. Then last December, I met Rev. Philip Chilcote who gave me some great advice on how to deal with my parents’ loss. “In a particular family, you might have five children….who lose a parent and that’s five totally different griefs,” explained Rev. Chilcote who is the chaplain at Wilson Hospice in Sidney, Ohio. He is also the bereavement coordinator for the organization who assists the families of hospice patients with their own grief issues. In addition, sixty-year-old Chilcote is the pastor of Sidney’s First Christian Church. In his role as a minister he has walked alongside countless families devastated by the loss of a loved one. “Grief is a re-adaptation process meaning we have to learn to live our lives without somebody who has always been there,” said the hospice professional. “We have to learn to adapt to a different world. Not only is the world different, but we are different,” he said. 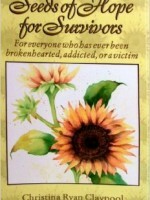 For grieving individuals creating new traditions and rituals is important. Some folks try to ignore the loss, but Chilcote believes that you should, “include the one who is gone in what you do.” For example, if you normally hang Christmas stockings, the expert who has led grief support groups for two decades, suggests that you should hang a stocking for the individual who died. If the deceased family member “always had the chair at the end of the table,” Rev. Chilcote says that you could leave the chair empty, or choose someone to sit in their place. As for giving, if it was your tradition to purchase a $50.00 gift certificate for the late family member, you could make a donation to a charity or ministry in their honor, or give to a neighbor in need. “People can buy a special candle and at the place at the table where they sat you can light the candle…and go around the table and have each person say what they meant to you,” suggests the seasoned grief counselor. “Tell funny stories about them. Most people who die, wouldn’t want you to be sad,” he added. My parents would definitely not want the joyous season to be filled with mourning. They were both church choir directors who believed that Christmas wasn’t about presents and mistletoe, but rather about a baby born in a Bethlehem manger whose love lives forever. That’s why I took Rev. Chilcote’s advice last Christmas and kept my stepfather’s place at the table empty. I placed a candle where my stepdad always sat, and lit it to honor him and my mother. My mother was always too busy serving to sit much, but I made sure there was an empty china coffee cup, since she always enjoyed her pie with a cup of hot coffee. This past year, I tried to create new family memories around my parents’ beautiful dining room table, realizing that was why it had been entrusted to me. Memories that would make my mother clap her hands in delight, and my stepfather comment, “Very good,” a saying he used when something pleased him. I no longer feel sad when I look at the table, but rather grateful that I was given such a gift. Yet if you are reading this and you are too depressed to partake in holiday festivities, know that it really will get better. You never stop missing your loved ones, but when we know Jesus, we know that there will be a great reunion someday soon. For now, in the words that my mother always signed her Christmas cards, I wish you, “Peace, Love, and Joy,” this holiday season. Christina Ryan Claypool is an Amy award winning freelance journalist and speaker who is the author of the book, Seeds of Hope for Survivors. 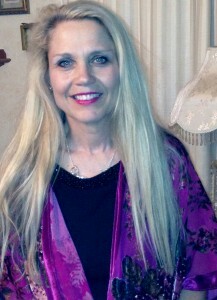 Visit her Website at www.christinaryanclaypool.com. 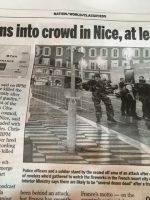 This column originally appeared in the Sidney Daily News.